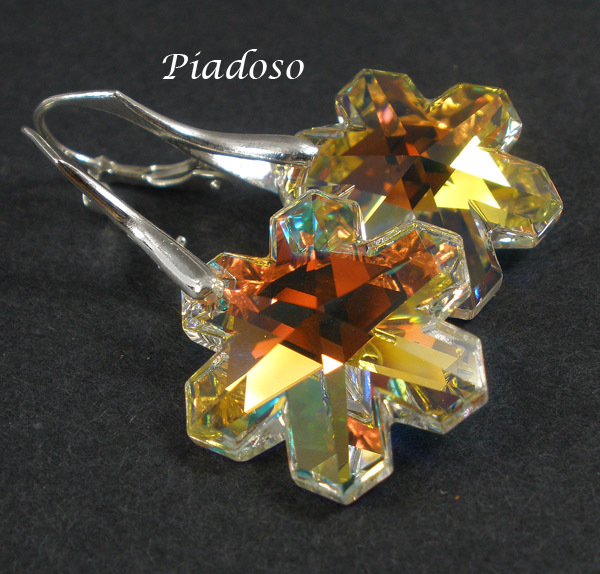 Beautiful silver Earrings with Swarovski crystals: SNOWFLAKES. These genuine Austrian crystals are made in famous Swarovski Elements collection world-known for best sparkling pearls and crystals. 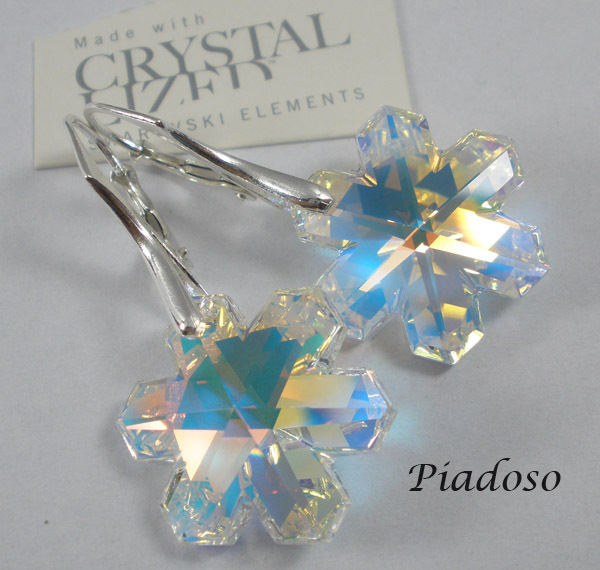 Original large crystal SNOWFLAKES in a beautiful AURORA color. Outstanding jewellery for every occasion. Stylish earrings which will not pass unnoticed. The will become a central element of your personal style. They may be a gift for the special person you care for.